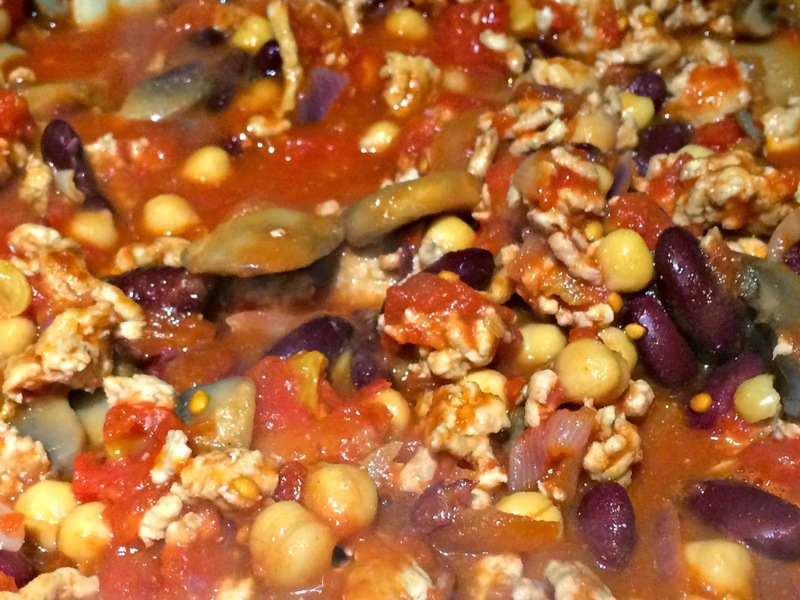 I first posted my favourite way to cook chilli con carne back in 2012. It is by far one of my favourite comfort foods to cook, and because of late, I have been trying to eat really healthily, I wanted to share my revamped version. Firstly, I put a very small amount of olive oil in to a wok or frying pan. To the oil I add a sprinkle of all the spices I want to use: smoked paprika, paprika, coriander, cumin, fennel seeds and sometimes a pinch of cinnamon and chilli powder. The amount is purely to taste, but I like my flavours really strong so add quite a fair amount of each spice. 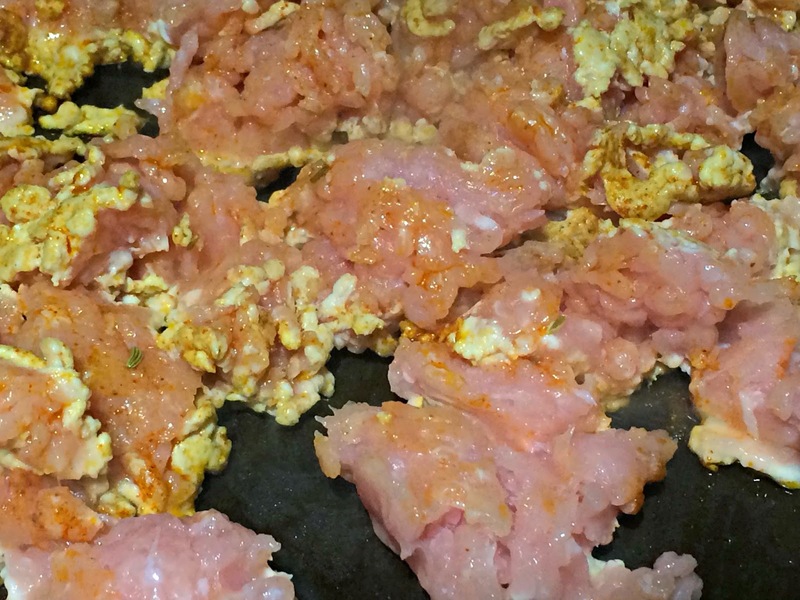 After letting the wok get hot (*poetry alert,*) I throw in a pack of lean turkey mince. Turkey mince is a great alternative to beef mince and much less fatty, so great if you are on a health kick. I let the turkey start to brown, and then add one diced red onion. 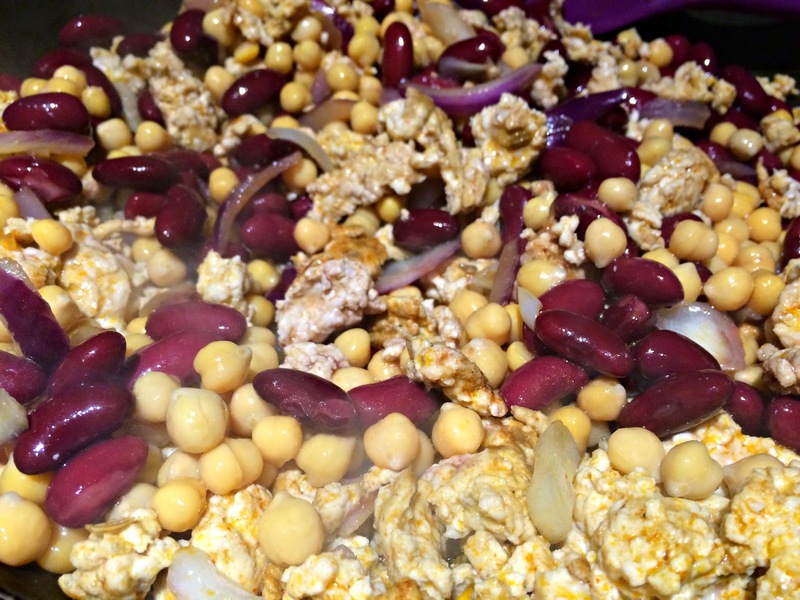 Once the turkey has started to turn golden, I drain one can of kidney beans and one can of chickpeas, followed by a handful of diced mushrooms. 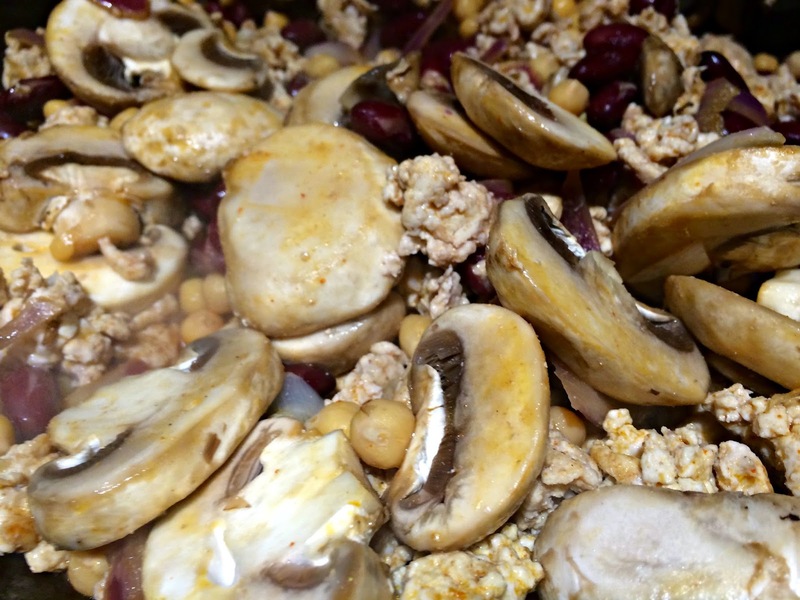 You can add some chopped peppers too, but this time I chose to keep it really simple I stir this regularly until all the turkey is completely golden, the kidney beans and chickpeas soft and the mushrooms tender. After checking to make sure my turkey mince is cooked, I add one can of chopped tomatoes and a few glugs of mushroom ketchup for added flavour, and extra spices to taste. You could also try adding some chopped ginger or garlic too, but sometimes it's nice t keep the ingredients really simple. I used to sometimes use one of those packets of chilli con carne spices, but now I just make my own spice concoction, just because then I know what's going in to my food. If you've got a favourite comfort food, please share it in the comments. I'd love to know what meals everyone else loves to eat! I've never made chilli con carne, but this looks delicious. In fact I'm pretty sure you've made this for me and it was scrumptious! For comfort food it has to be a full on chicken past, lots of thick sauce, mushrooms, bacon, chicken, chunky garlic bread, mmmm, hits the spot every time! So yummy! I like the idea of adding fennel seeds to the mix! I always use turkey for my chili because my family doesn't eat beef but I like your recipe better than mine! Thanks for sharing! Love this recipe! Thanks for sharing. i made chili so much this winter! its easy and there are so many ways to change it up!